Thoughts and prayers go out to the family of Markese “PainCity” Mahone. 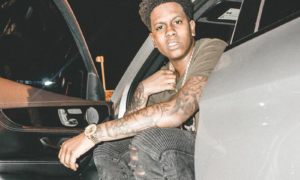 Mahone, an up and coming rap artist from Macon, Ga., was shot and killed early Friday morning in Liberty County, Ga. Mahone’s girlfriend told the family he went out to smoke a cigarette and then she heard gunshots. 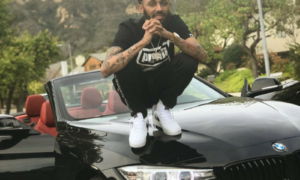 The rapper was found laying in the parking lot in a pool of blood by Liberty County deputies. 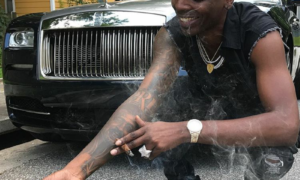 About an hour before he died, the Macon rapper known as Paincity announced on Facebook that his new album “Hard N Da Paint” was available online. “He actually moved down there about a month ago to try to get a buzz up because there weren’t as many rap artists there,” said Keith Lowe Jr., Mahone’s producer with the Drum Matrixx label. Lowe heard there was a fight at the Day’s Inn on East Oglethorpe Boulevard in Liberty County and someone returned with a gun and killed Mahone, although investigators have not released many details about what happened. Two people of interest were being questioned, but no arrests were made as of Friday afternoon. Liberty County Coroner Reginald Pierce said Mahone was shot in the shoulder and pronounced dead at the hotel shortly after midnight. 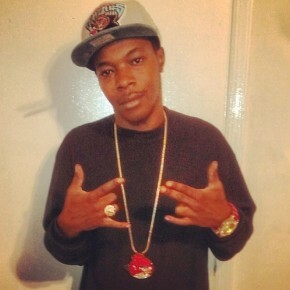 After Friday’s autopsy, family members were told the bullet hit an artery, and Mahone bled to death. Did Flirty Text Messages Break Up Jason Derula And Jordin Sparks?